There is an Extra INR 500 off on Mobiles & Tablets above INR 10,000. Use Promo code EXTRA500. Offer is valid only till 23rd January. 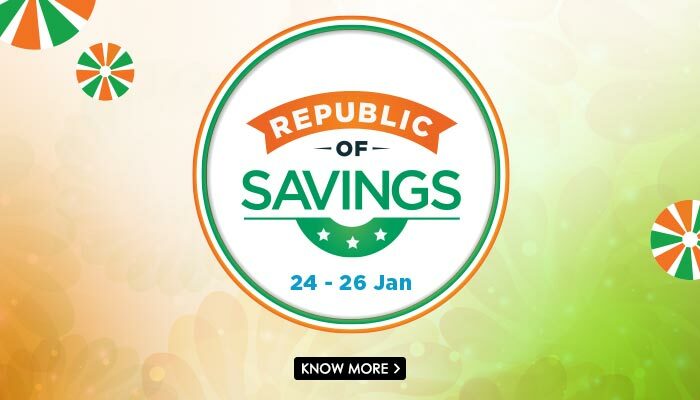 We are coming up with thrilling 'Republic of Savings' sale from 24th to 26th January. So, watch this space for sure!